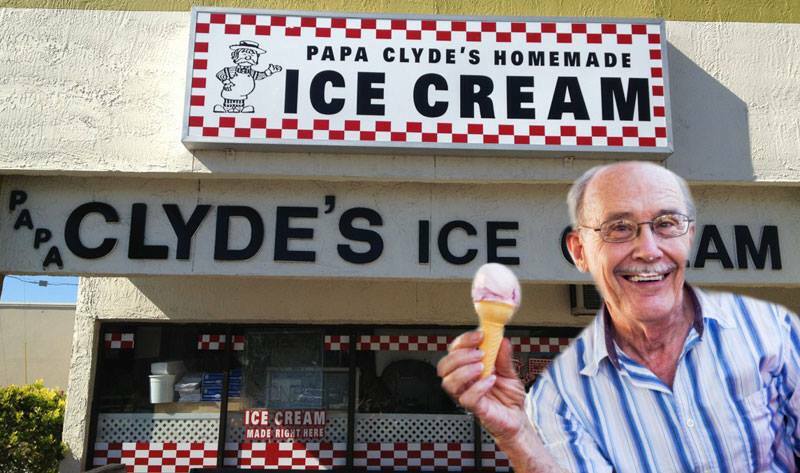 SPRING HILL, Florida — Ice cream mogul Papa Clyde was found dead in the walk-in freezer section at his parlor’s Kass Circle location Monday morning. The coroner’s official report lists “self-inflicted asphyxiation” as the probable cause of death. Clyde also served as president of the Rotary Club of Spring Hill, the chairman of the Southeast American Horticulture Society and treasurer of the Hernando County Leatherworkers Guild. Memorial services will be held at 11 a.m. Wednesday at the Hernando County Airport Farmers and Flea Market. Next story Scientists studied grocery store restrooms. What they found will shake you to the core.